The newest PES 2017 looks so downgraded on the PC version but it looks much better on the PS4 and the Xbox One consoles, as revealed by a new comparison video by Candyland. Similar to Digital Foundry, Candyland does the job of comparing mods, gameplay videos and graphical fidelity of new titles on multiple platforms. The end result is quite shocking with Pro Evolution Soccer 2017. The next gen game is supposed to look same as the Playstation 4 and Xbox One edition, considering the fact that PC hardware is quite superior to handle any sports title. However, a poor port done by Konami ensured that PES 2017 looked lifeless with vague graphics, pixelated crowds and character animation. They have managed to retain the look of a player’s face in all versions. But, the lighting effects, texture and the work that has been put into the PC port is very minimal. It is evident with the low quality output that can be spotted throughout the game. Instead of showcasing just one part of the game, Candyland has picked some of the best moments from the football title on all platforms. The PS4 and Xbox One edition looks very similar. You can hardly find any difference and it looks like a game that is worthy to be addressed as next gen. The same cannot be said about the PC edition. If our guess is right, developers at Konami used many files and textures from the Xbox 360, PS3 version of Pro Evolution Soccer to finish porting the game for Windows PCs. The grass, crowd and the stadium look a lot like the ones seen in the previous generation consoles. They may have developed the engine from the scratch for the PS4, Xbox One platforms. The visual differences in PES 2017 are evident and the video brings it to limelight. With just days to go before the official launch, Konami is not going to drastically change the way the game looks on PCs. If they take this into account and probably focus more on the platform and not just consoles, they might find an increased user base. 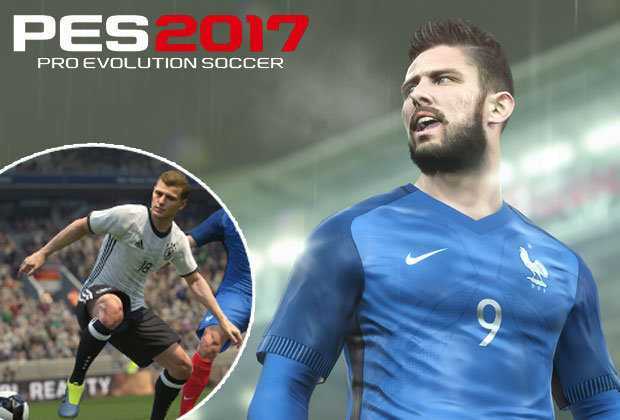 Unlike FIFA 17 which is popular among Xbox One, PS4 console gamers, PES 2017 has its stronghold among PC gamers around the globe, especially in places like Europe, Russia and the Southeast Asian region. Check out the comparison video below.